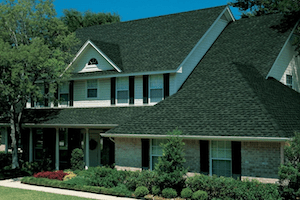 Do you need to utilize the services of the top roofing company in Canton GA? It makes sense that you don’t want to settle for less than the most professional roofing experts in the area. After all, this is your roof we are talking about. This structure is more than just a covering for your home; it protects you from the elements; it keeps out unwanted pests; it keeps your home’s structure strong; and it completes the look of your home. Unlike other roofers who are either new to the area or just starting out, we have years of experience and have perfected our craft. Our experts are highly- trained and experienced, and we have seen every roof type and situation you can imagine. No job is too large or small or strange for us to handle. Members of our Hopewell Roofing team are all locally-based. We are from Canton, GA and the surrounding communities and some of us have lived here our entire lives. As a result, we have the kind of dedication to the area you can’t get from other companies. We care about making the homes in Canton GA as strong and secure as they can be. Before we do any work on your roof, we scrutinize everything. For example, we will check for all types of damage, and keep an eye out especially for those problems that are easy to miss. Then, we will take the time to find a solution that meets your unique needs and budget. We’ll never force a more costly repair on you unless it is necessary for protecting your home. Whether you need a roof repair, maintenance, or a new roof installation, our team at Hopewell Roofing is ready to provide the best services available in the industry. We care about each project and customer, and it shows in everything we do. 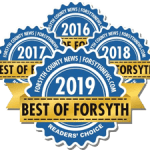 Contact our team today if you are ready to get started with the best roofing company in Canton, GA. We look forward to providing the roofing solutions you need. The Answer to Your Biggest Question: Will Homeowners Insurance Cover a New Roof?